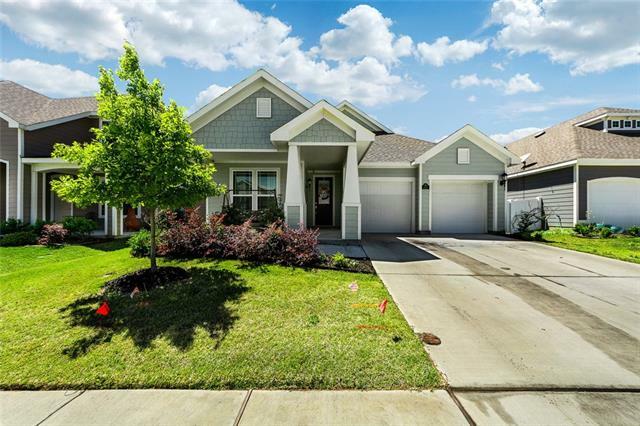 All Providence Village homes currently listed for sale in Providence Village as of 04/20/2019 are shown below. You can change the search criteria at any time by pressing the 'Change Search' button below. If you have any questions or you would like more information about any Providence Village homes for sale or other Providence Village real estate, please contact us and one of our knowledgeable Providence Village REALTORS® would be pleased to assist you. 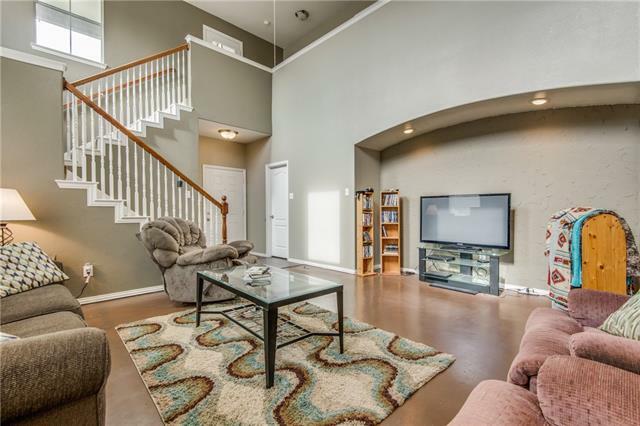 "Beautiful two story family room with a great open floor concept. Grand master bedroom with spacious Laundry room with built in Laundry table. Master suite features garden tub with separate shower and large walk-in closet. Office near front entry, open kitchen has a large island, and a beautiful butlers nook. Granite Countertops and Custom backsplash in the kitchen. ** Large Bonus Room Upstairs which can be used for anything such as media, game room etc. **"
"All Proceeds For This Home Go To HOMES FOR HOPE Charity. Visit HOMES4HOPE.ORG. 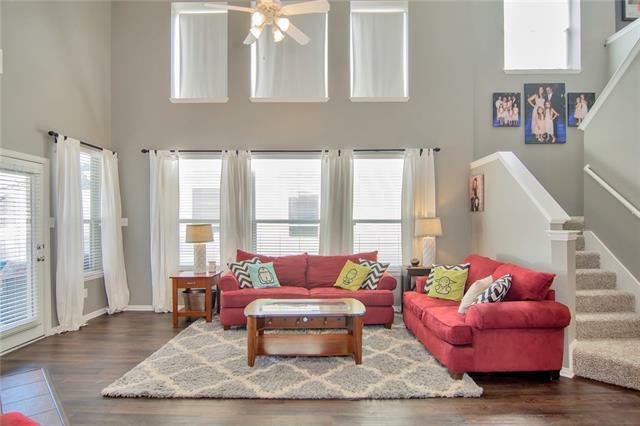 9 Foot Ceilings Throughout First Floor! Ceramic Tile Flooring In Entry, Extended Entry, Kitchen, Breakfast Nook, Utility Room, And All Baths! 42 Inch Cabinets With Crown Moulding! Quartz Counters, Ceramic Tile Back Splash, Large Island, And Recessed Lights In Kitchen! Full Gutters! Stainless Steel Whirlpool Appliances! Study With French Doors! Rounded Sheetrock Corners In Traffic Areas And Arched Openings! " "Attention all buyers looking for a home with a Northeast vibe! Located on a creek lot, this beautiful home backs up to a lush greenbelt with access from the backyard. 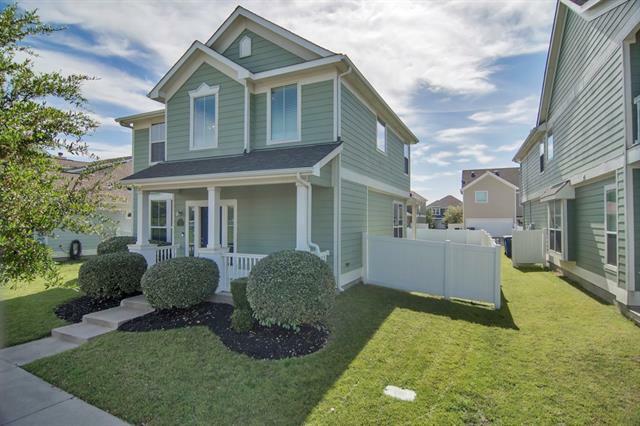 Fabulous 3 bed, 2.1 bath, single owner home in master planned Providence community! 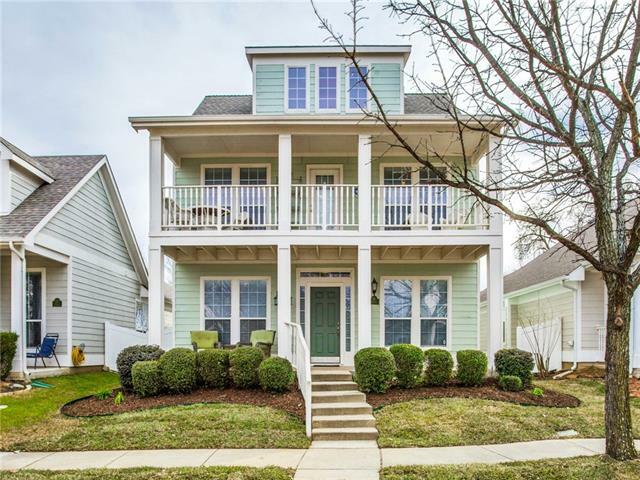 Two story home with coveted Front-entry garage! Spacious open-concept living:dining area! 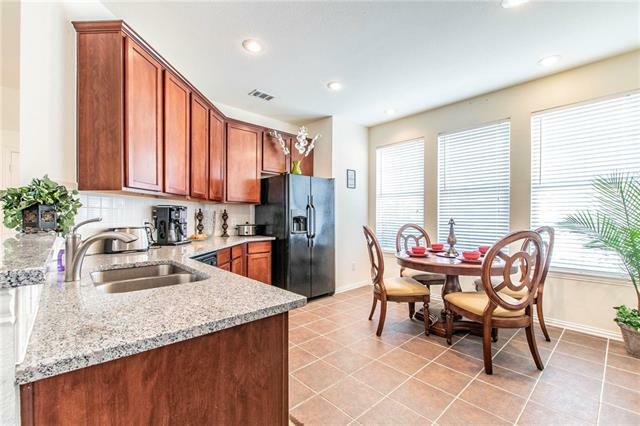 Fully upgraded kitchen perfect for entertaining. All 3 beds & utility upstairs for convenience; w:large, open, loft area perfect for game room or 2nd living. " 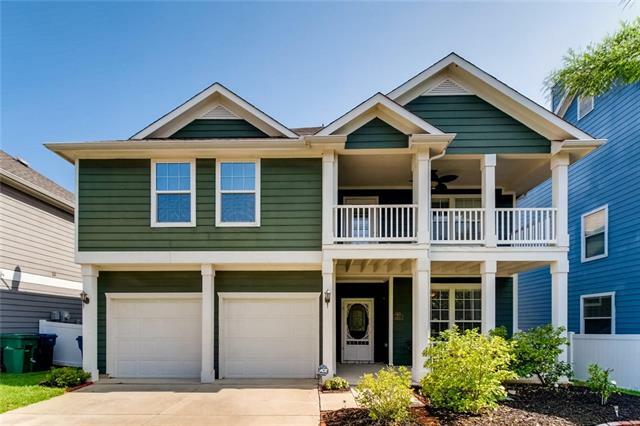 "Built in 2013, this Providence Village two-story home offers a front porch, stainless steel appliances, granite kitchen countertops, master bathroom with separate tub and shower, covered deck, and two-car garage. Upgraded features include new HVAC and carpeting. Home comes with a 30-day buyback guarantee. Terms and conditions apply." "WOW!!! Tree Lined Lot in Providence! You will be Impressed with the Love that has gone into this home...Hardwood Floors throughout downstairs, Study with French Doors, Ceramic Tile in Wet Areas, Granite in Kitchen, Abundant Cabinetry, Walkin Pantry, Loft Style Gameroom Upstairs, HUGE Master Suite Upstairs, His-Her Walkin Closets, Balcony. Open Concept Floorplan. Next door to Park. What A Gem!" "Wood Floors Galore! And yes, they are real! This Stunning Cape Cod Style home boasts 4 bedrooms, an office, family room AND a media room! Updated kitchen with white cabinets and new appliances! Enjoy your morning coffee on your balcony, or relax in the evenings in your own personal media room! Large master closet could be its own room its so big! You have got to check this one out!" "*huge backyard*.213 almost a quarter of an acre lot very rare in Providence village plenty of space for any outdoor activities also a big shed for hobbies or storage. Gorgeous granite counters in kitchen, updated appliances, cozy double fireplace between breakfast and living room. Master bath has a double sink, garden tub, and a separate shower. lots of storage space, roof 4 years old.Wood floor in the living room downstairs(upgrade).A resort like community with big pool, clubhouse, playground, "
"Punch it Chewie! This one wont last! Beautifully updated Cape Cod style home is almost like new. Fresh designer paint through out including trim, doors, white ceilings, even the garage has been freshly painted! new upgraded carpet up and LVP down. Tons of natural light pour through the windows of this inviting home. 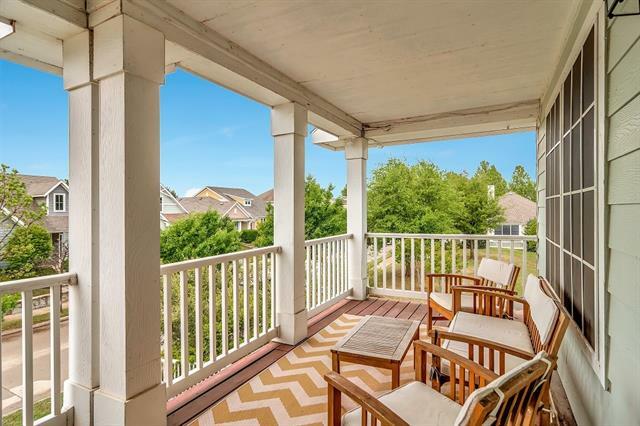 Enjoy coffee on your oversized front porch or balcony, or on your large back covered patio! Extended driveway as well as extended back patio recently done. Other updates include Ring"
"This house is a true gem, a rare find in Providence Village, ONE STORY at 2095 sq ft! NO MUD OR PID taxes on this home! Immaculant, Cape Cod styled home is warm and inviting. 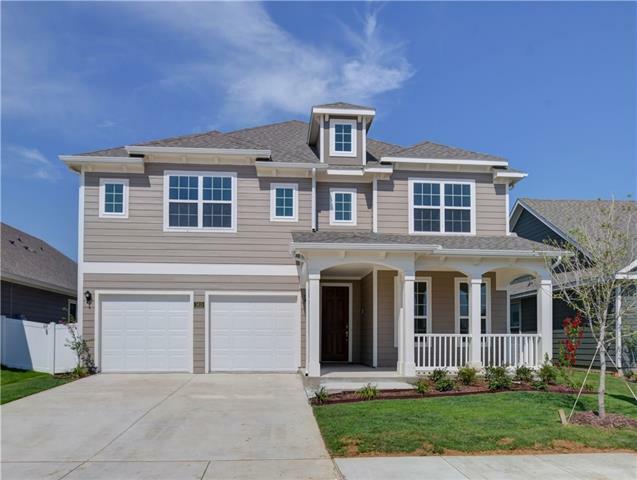 From the moment you arrive you will be greeted by the beautiful exterior and oversized front porch. The interior is light and airy; cool tones grace the walls while the floors are deep rich tones of brown. 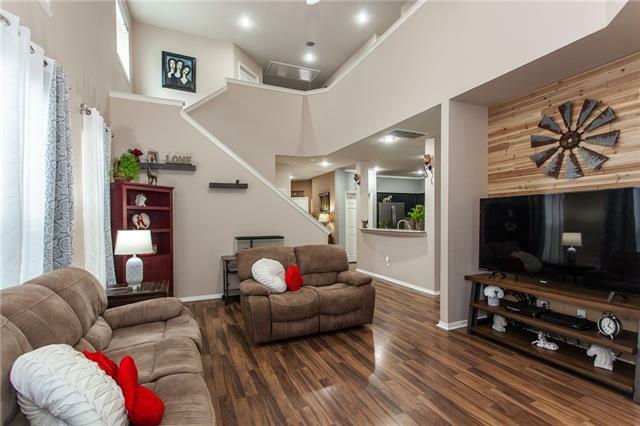 This 3 bedroom, 2bath, 2 car garage has an amazing feature, a BONUS ROOM that could be used as a kids playroom, office,"
"Resort style living can be yours! It is the perfect location within walking distance of park, pool, sport fields, clubhouse and Elementary school! 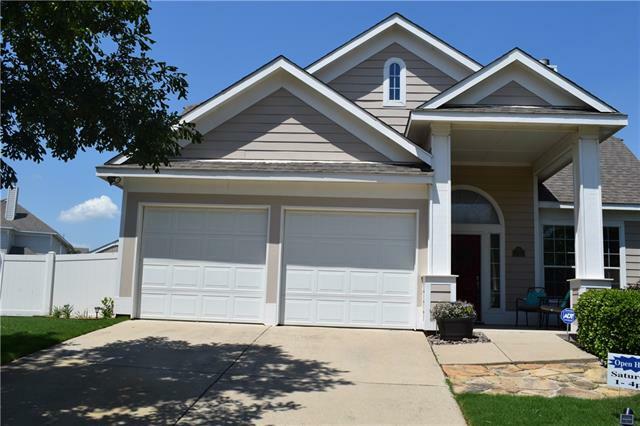 This open concept 3 bedroom, 2.5 bath home has a downstairs study and a game room upstairs perfect for entertaining. The kitchen has beautiful new granite countertops, a 2 story living room that is light and bright with several flex rooms throughout. Conveniently all bedrooms are upstairs including a private master bedroom with oversized closet. Enjoy"
"**** AUBREY ISD **** GORGEOUS AND STILL SMELLS LIKE NEW! COMPLETED LATE 2017! SO CLEAN YOU COUD EAT OFF OF THE FLOOR! GRANITE, LOTS OF CABINET SPACE, HUGE KITCHEN OPENS TO ENORMOUS LIVING ROOM! EXTREMELY ENERGY EFFICIENT! NEWEST PART OF PROVIDENCE VILLAGE! COVERED FRONT AND BACK PORCH! ABUNDANCE OF NATURAL LIGHT! BEST VALUE IN PROVIDENCE VILLAGE! HOA DUES ARE MUCH LOWER THAN THE OTHER PROVIDENCE VILLAGE HOA WHICH MEANS YOU DON'T HAVE ACCESS OR CONCERNS ABOUT THE O"
"Family living at its best! 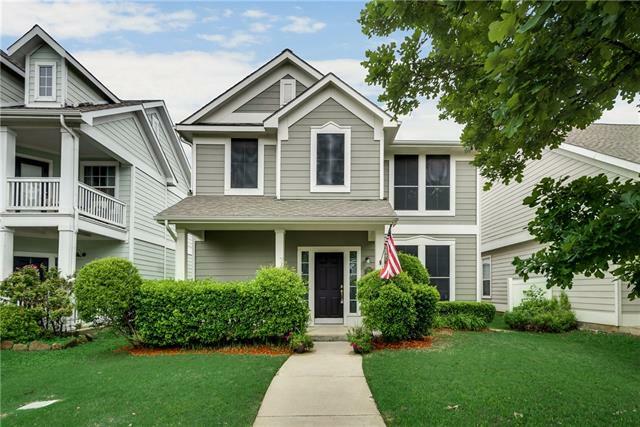 Spacious Cape Cod in Providence Village. 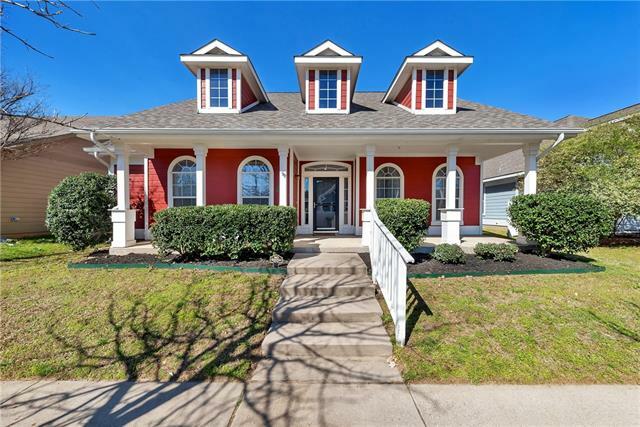 Tasteful 3 bed 2.5 bath in wonderful neighborhood full of amenities in Aubrey school district. Large inviting ft porch & balcony. Open concept with abundant storage offers plenty of room for a growing family. High ceilings adjacent generous kitchen spaces are perfect for entertaining. Carpet, wb fireplace & lots of natural light create a comfortable haven. Murphy bed in office offers additional space for guests. 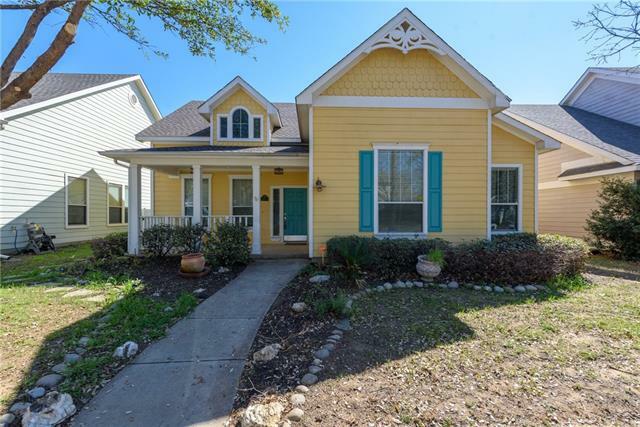 Upstairs feature"
"This updated and spacious house in highly sought after Providence Village and Aubrey ISD is perfect place to call home! Large, open kitchen with a huge pantry. 3 bedrooms up, including the master. Wood flooring installed throughout downstairs in September 2018. 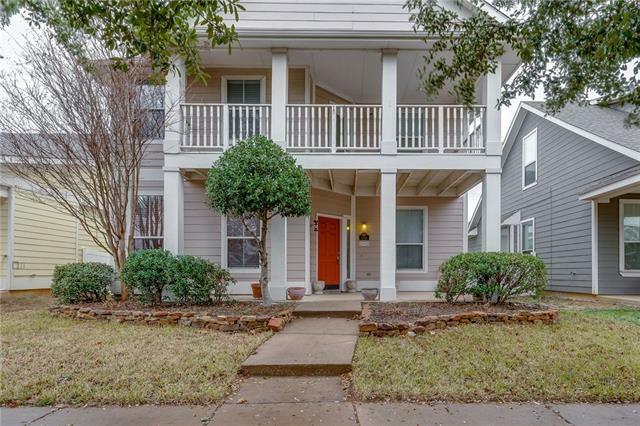 Sit on the balcony and enjoy the peacefulness of this neighborhood. Just down the street from the community pools (including a salt water pool two blocks from this house), water park slides, skate park, basketball courts and playground. 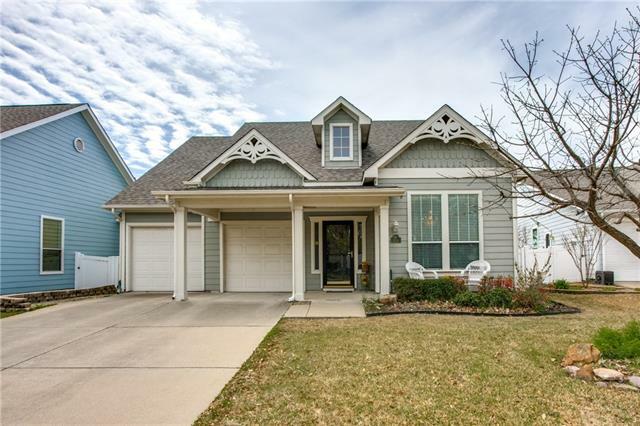 T"
"Cape cod style property located in a master planned community with lake, water park, ponds, parks, club house, and a one of a kind family friendly feel. Smart home! 3 beds w. study. The kitchen comes equipped with the newest trend-slate appliances, as well as granite counters, travertine backsplash &lots of cabinet &closet space. The open layout of the kitchen, dining, &living rooms brings everyone together. Hardwood flooring in almost the entire house makes for easy cleaning &minimal allergens!" "Make this your forever home, 3 bedrooms, 2 living areas and a media room, covered front porch and walkout balcony, all nestled in a beautiful subdivision with swimming pools, fishing ponds, baseball fields and close to schools. Its everything you could imagine and more. This is the perfect opportunity to find a space that will hold everyone but still feels cozy enough for family. Fridge Conveys with property as well. Be part of the mature Providence Village all while enjoying the great expansion"
"This charming 2 story Cape Cod style home in the sought after town of Providence Village is ready when you are!Fresh interior paint and new carpet have this home feeling brand new.Ceramic tile in heavy traffic areas makes it easy to keep.Downstairs bedroom is currently serving as a study with French doors and crown molding.The spacious kitchen boasts new stainless steel range, builtin microwave and dishwasher. 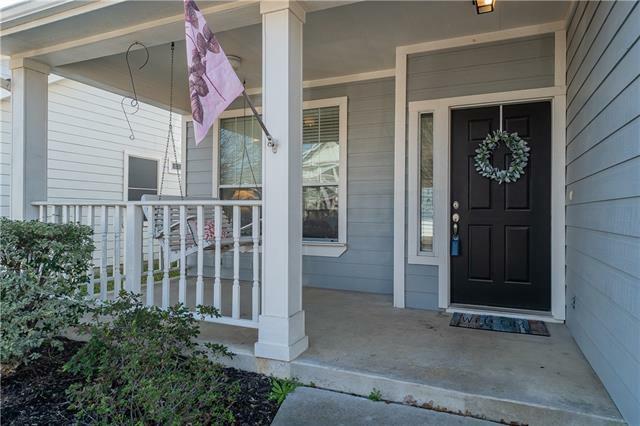 The upstairs balcony is the perfect place to view the towns impressive annual firework"
"NO MUD or PID in this cute cape cod style community! Step back in time and enjoy your front porch swing, great neighbors and a close-knit community! 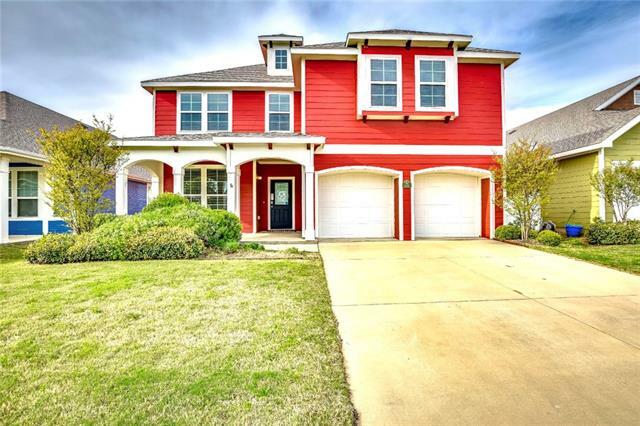 This home has a great layout including 4 bedrooms with master downstairs, 2.5 bathrooms and an oversized upstairs game room. 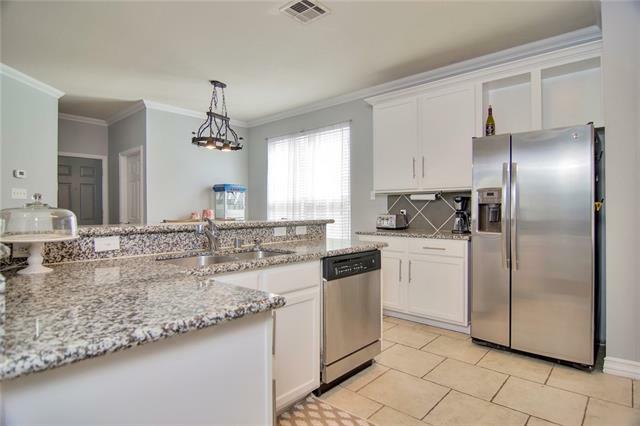 You will enjoy the beautiful fully remodeled kitchen with white cabinets, granite countertops and a breakfast bar. The kitchen, breakfast area and living are open concept with updated laminate wood flooring downstairs. You wil"
"A sought after one story home with Lake views! 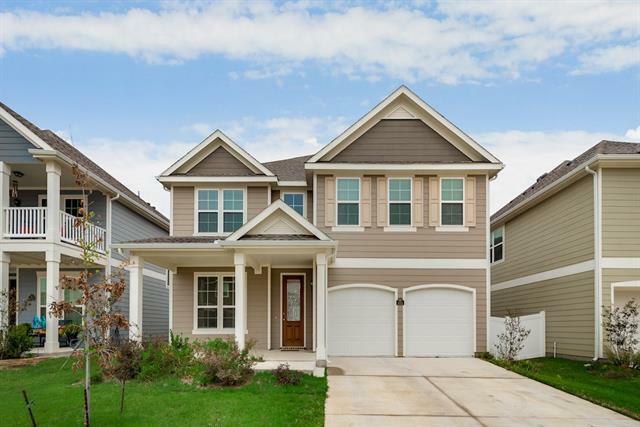 Spacious open floor plan with interior and exterior updates. Family room is great for entertaining with stone wood burning fireplace, big windows, new engineered hardwood floors and crown molding. Gourmet kitchen has ample cabinets, island, breakfast nook, new glass tile back splash and energy efficient Maytag appliances. Spa like Master bedroom boasts lovely views of the lake. All bedrooms are clean and light with new carpet. Welcoming new co"
"Beautiful 3 bed room 2.5 bath on a corner lot in the charming upscale neighborhood of Creek Village. Open concept with kitchen overlooking the living area with great natural light in all rooms. Full access to the many parks, water park, fresh and saltwater pools, picnic areas, walking trails, and even a community baseball field. This one is a great find and ready for new owners just in time for Spring." 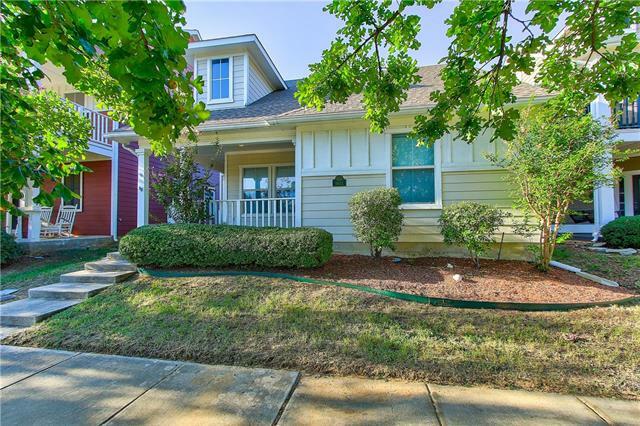 "This 2 story, charming 3 bedroom 2.5 bath home has it all & is super close to the schools & neighborhood amenities. Cooks will enjoy the kitchen granite counters,pantry storage,breakfast bar & Bosch dishwasher. 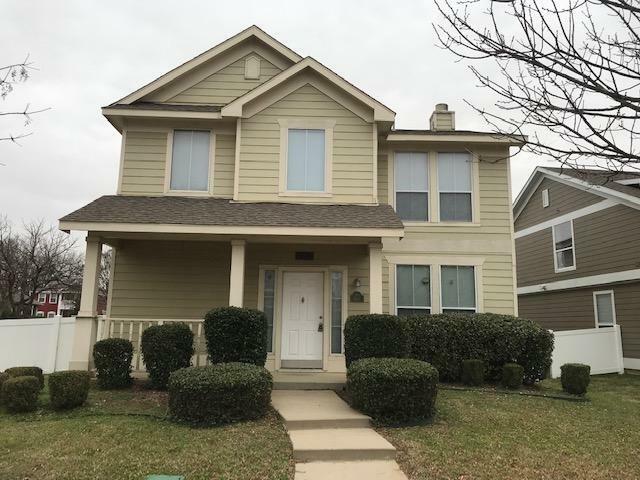 Home has been repainted inside and offers vaulted ceilings, 2-inch blinds & a room upstairs that could be a liv room, game room, or office.House features wood & marble tile floors ,dual zone heat & air, crown molding digital thermostats and covered back patio. Second floor liv area has a "
"Enter your quaint cottage, and be greeted by 10' high ceilings. Beautiful engineered wood flooring graces you to the dining room and separate bedroom hallway. This home boasts an open floor plan from the airy and open kitchen pouring into the living room capped with a wood burning fireplace. The master bedroom is separate from the other bedrooms, and it is bright and spacious.It also has two closets for extra space. Enjoy your lovely backyard with shade trees galore. 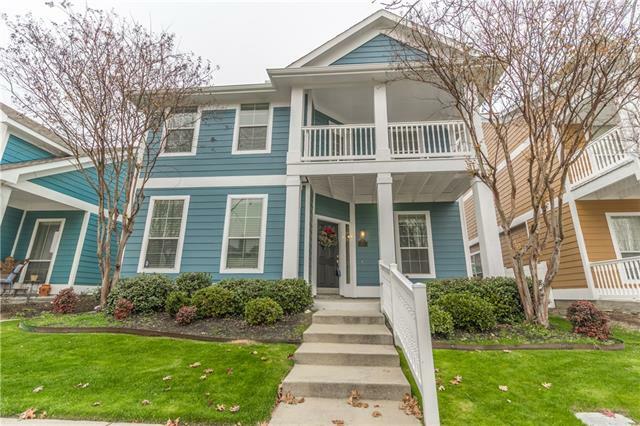 This remarkable Coastal them"
"Charming 2 Story Craftsman Style Home located across from Providence Elementary! Well Kept 3 Bdrm, 2.1 Bath with Flex Space. Granite Countertops, Ceramic Tile in All Wet Areas, Designer Paint Throughout. Appealing Upstairs Flex SPace for Playroom or Study, Inviting Covered Patios and Large Closets in All Bedrooms. Resort Class Amenities to enjoy In Your Own Neighborhood...Parks, Ponds, Hike & Bike Trails and Pool!" "Charming 1.5 story rare find on quiet street with no neighbors behind you! 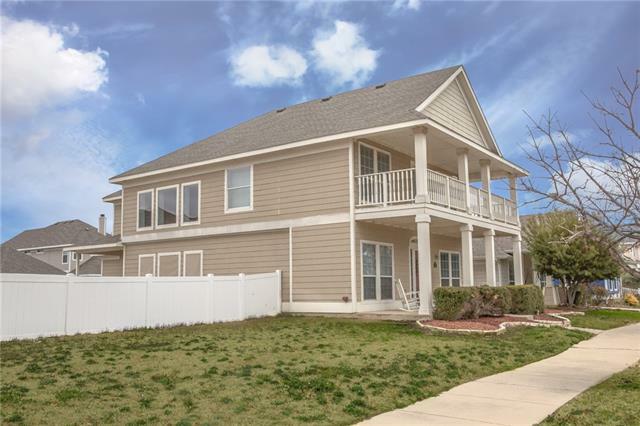 Beautifully landscaped 3 bed, 2 bath home with hand scraped wood laminate flooring, granite counter tops and island in eat-in kitchen, recent remodel on master bath includes modern tiled shower, 2016 new AC, 2016 carpet and over-sized back patio! The spacious upstairs loft can be used as a study, game room, office, man cave media loft with 2 closets, both with built in shelves, or even a second living area or spare sleep"
"This welcoming home nestled inside of the charming, family-friendly subdivision, which known for its resort-style amenities including waterpark, salt-water pool, sauna, gym, club-house, lake trail and parks, stocked fishing ponds, skate park, volleyball court, baseball and soccer fields. Natural light is abundant in the open living-dining-kitchen areas and provide for great entertaining. Granite counters in kitchen and bathrooms. Refreshing layout lead you upstairs to master retreat and 2 other "